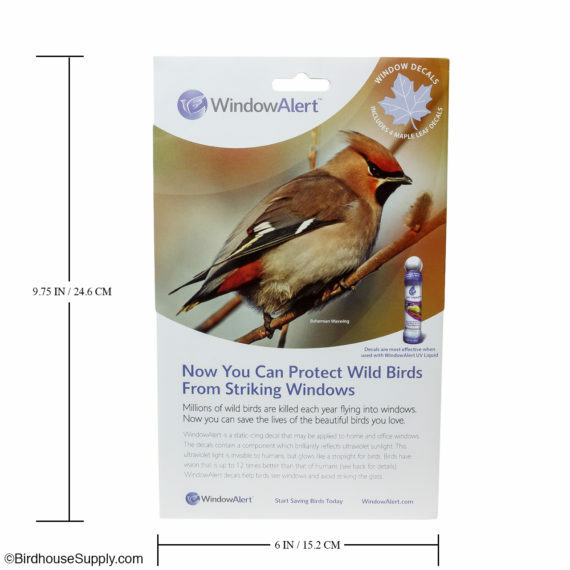 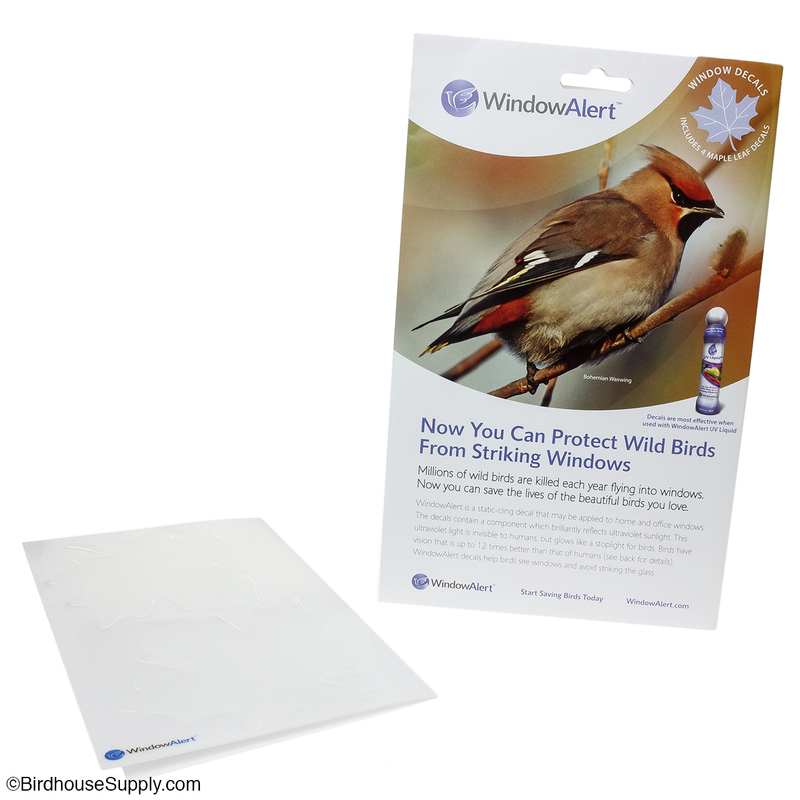 Keep wild birds safe with these faux-etched glass decals for windows. 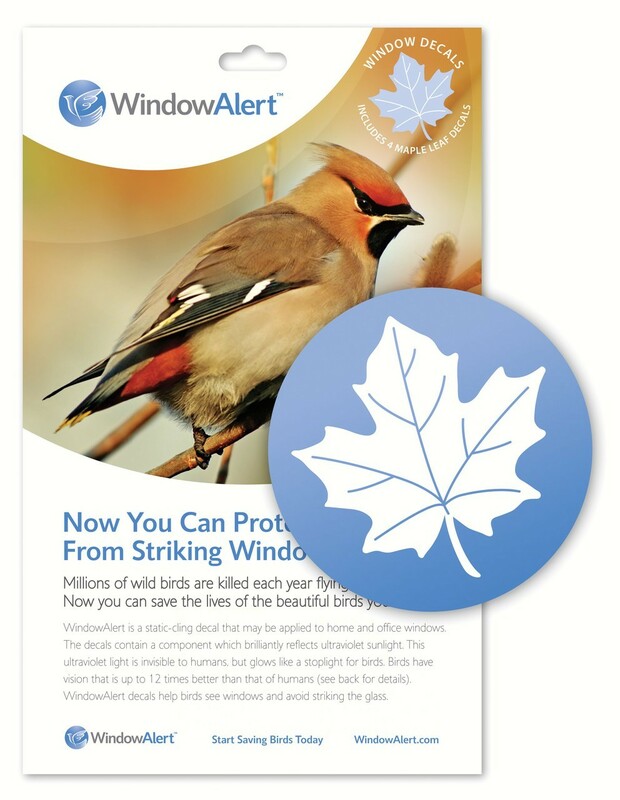 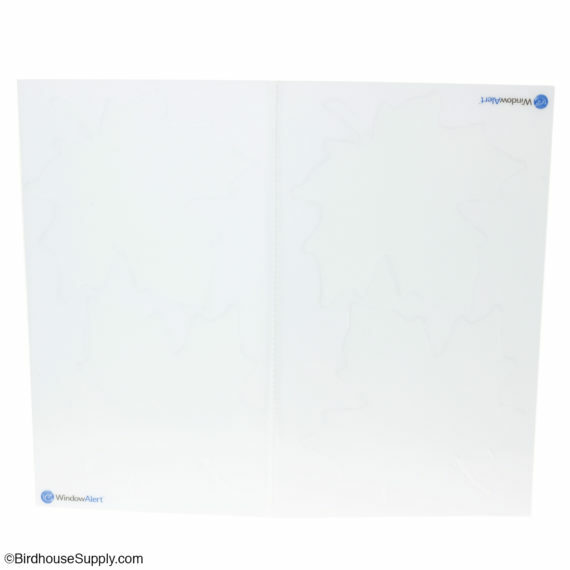 Attractively designed to resemble a maple leaf, Window Alert Window Decals come in a four-count pack and easily mount using static cling. 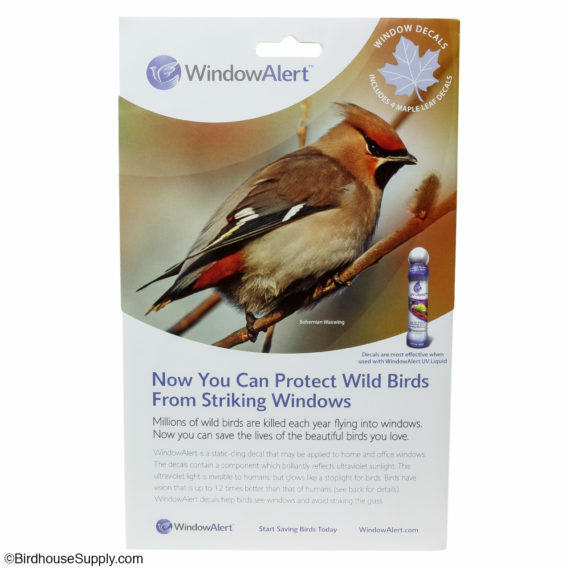 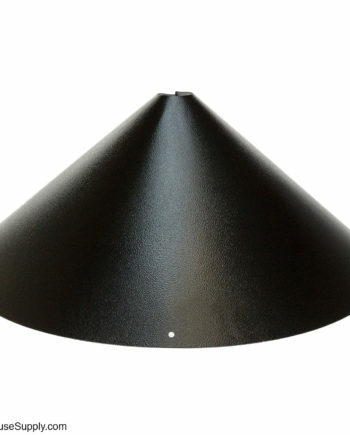 By adding them to sliding glass doors and other plain windows, birds will be saved from running into the glass and causing themselves harm or even death.